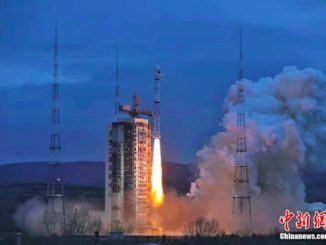 Powered by 10 engines, the 187-foot-tall (57-meter) rocket took off at 1243 GMT (8:43 a.m. EDT; 8:43 p.m. Beijing time) and sent an experimental satellite into orbit. 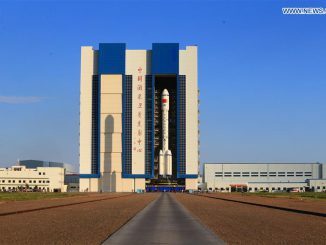 The Long March 5 has twice the lift capacity of any other Chinese rocket, and it ranks among the most powerful rockets in the world, closely matching the performance of United Launch Alliance’s Delta 4-Heavy. It can haul up to 14 metric tons, or 31,000 pounds, into an elliptical geostationary transfer orbit stretching up to 22,300 miles (about 35,800 kilometers) above Earth. For low Earth orbit missions, such as deployments Chinese space station modules, the Long March 5 can deliver up to 25 metric tons, or 55,000 pounds. 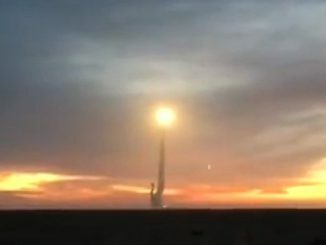 Thursday’s launch attracted onlookers who gathered on beaches near the Wenchang space base on Hainan Island, prompting widespread social media reports.